acon Industrial M.2 2242 SSD is a new SSD module designed for embedded systems applied for industrial platforms. 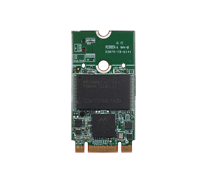 acon industrial 2242 SSD offers a universal temperature range for operation, 0°C - 70°C and -40°C - 85°C and a capacity up to 512GB. Apacer P100-M is the next generation modularized Solid State Drive (SSD) with the shape of M.2 form factor, with the aim to be the more suitable for mobile and compact computers with standard width at only 22.00 mm. SM220-M242 is the next generation modularized Solid State Drive (SSD) with the shape of M.2 form factor, with the aim to be the more suitable for server and compact computers with standard width at only 22.00 mm. Innodisk M.2 (S42) 3ME3 is designed as the standard M.2 form factor with SATA interface, and supports SATA III standard (6.0Gb/s) with excellent performance. 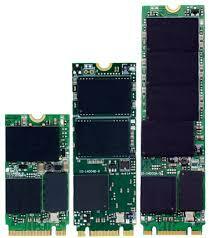 Innodisk M.2 (S42) 3ME4 is characterized by L³ architecture with the latest SATA III (6.0GHz) Marvell NAND controller. 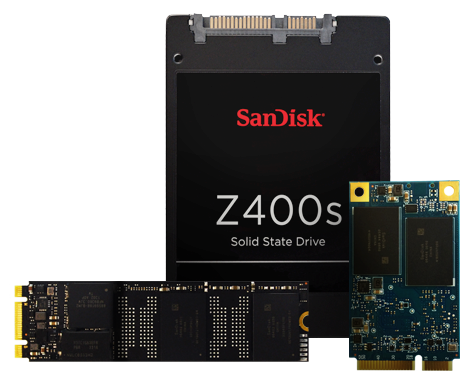 The SanDisk® Z400s is available in mSATA, 2.5” SATA and M.2 form factors and capacities ranging from 32GB to 256GB3 to fit a broad range of applications. We believe storage should fit your needs, not the other way around. Exceptional reliability, low maintenance and high performance all add up to a lower total cost of ownership.